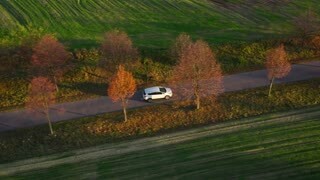 Top view of cars driving on a two lane asphalt street in a European city. 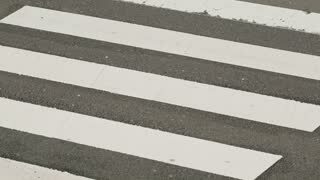 Top view of cars driving over a zebra crossing on a city street. 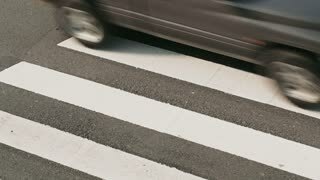 Top view of cars driving over a zebra crossing on a city street with camera panning motion. 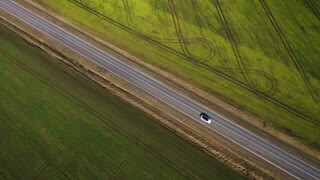 Top view of cars driving fast on a two lane highway. 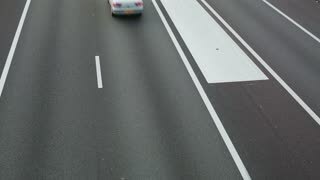 Elevated view of cars driving fast on a two lane highway with an adjacent acceleration lane.